I am reprinting a press release from the Orthomolecular Medicine News Service that discusses a newly published study, sure to get press, that implies that a simple folate supplement increases cancer rates in patients who are diagnosed with heart disease. This press release does an excellent job of helping readers read between the lines when articles are released that are biased against natural health products. I encourage you to read and listen to all health related discussions and advertisements through a similar, more well-informed lens. Does Everything Cause Cancer, Even Vitamins? (OMNS, November 29, 2009) A newly released study suggests that folate supplements can increase cancer rates in patients who have heart disease . But the data for the study was not collected to test the effect of supplemental folate on cancer, and appears to be biased by the high fraction of smokers and by the low levels of supplements given. All of the groups in the study had high rates of cancer, whether or not they took a folate supplement. The suggested increase in cancer risk is very small, only 1.6%. Because of these problems, the report appears to be biased by uncontrolled factors in the data collection and analysis. The study combined the data from two recent trials performed in Norway that tested the effect of folate and vitamin B-12, two closely related B vitamins, on the homocysteine levels in the blood and on overall mortality [2,3]. The rationale for these trials was that high levels of homocysteine are known to be a risk factor associated with atherosclerosis, and are sometimes associated with low folate levels [4,5]. Folate and vitamin B-12 are important for growth because they involved in the synthesis of DNA. Folate is crucial for the prevention of spina bifida and other developmental defects in babies. Folate is also known to prevent the occurrence of cancer, and to reduce atherosclerosis and related heart problems [6,7]. Another reason to be cautious about the conclusion of the study is that most of the cancers detected were slow-progressing and would not be expected to be initiated by a relatively low dose of an essential vitamin, such as folate, over the 3-year period of the study. It would appear much more likely that the vitamin supplements actually reduced new cancer incidence as shown in previous studies , but that any cancers that showed up later were already initiated but undetected at the start of the study . The real cause of cancer may be connected to the heart disease in these subjects because of their long history of smoking and ill health. In these two trials, the subjects were selected for having heart disease and were therefore quite ill. The vitamin amounts were small: 0.8 milligrams/day of folic acid; 0.4 mg/day of vitamin B-12, and 40 mg/day vitamin B-6. These amounts are low by comparison with other studies, where commonly much larger amounts of folate and vitamin B12 are given (40 mg/day folic acid, 2 mg/day of vitamin B12) . Orthomolecular (nutritional) physicians maintain that larger nutrient doses are more effective in preventing illness than are small doses. Indeed, the data from the two trials showed a cancer increase that was non-significant. That’s right, it could be merely random variation. This is important. One reason this is likely is that the point where a subject stopped being considered as part of the statistical significance was either any cause of death, or a heart-related event, or a stroke [2,3]. Thus subjects who died of unrelated causes were tallied in the statistics, which would tend to obscure any effects of the treatment. Other uncontrolled factors, for example the general ill health of the subjects, or behavioral factors like the amount of smoking, very likely contributed to the variability. In an attempt to give more statistical significance the study combined the data from both trials to double the number of subjects. A claimed increase in cancer due to increased folate levels is not borne out by statistics for the population of the US where folate levels have increased recently , because the cancer rates have significantly dropped . Interestingly, health was actually improved in the subjects that received folate plus vitamin B-12, because for them the rates of acute hospitalization for angina and the incidence of stroke were lower by about 4% than for the placebo group. In conclusion, any apparent increase in cancer risk is close to the expected random variability in the cancer rate, implying that much or all of any alleged “vitamin problem” is purely due to chance. Findings due to chance are not scientific findings. Isn’t it interesting that a major journal (Journal of the American Medical Association) would publish this research? Perhaps nonsignificant data are acceptable if you have an anti-vitamin orientation. Researchers previously found that in major medical journals, more pharmaceutical company advertising resulted in the journal having more articles with “negative conclusions about dietary supplement safety.”  JAMA carries a large number of pharmaceutical ads. 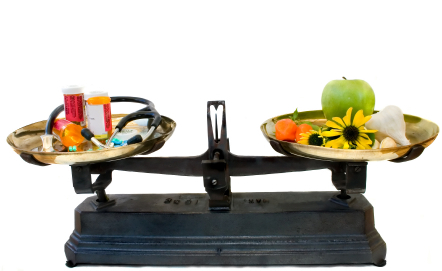 Bottom line: vitamins do not cause cancer. Smoking does. Ebbing M, Bonaa KH, Nygard O, Arnesen E, Ueland PM, Nordrehaug JE, Rasmussen K, Njolstad I, Refsum H, Nilsen DW, Tverdal A, Meyer K, Vollset SE (2009) Cancer incidence and mortality after treatment with folic acid and vitamin B12. JAMA 301: 2119-2126. Bonaa KH, Njolstad I, Ueland PM, Schirmer H, Tverdal A, Steigen T, Wang H, Nordrehaug JE, Arnesen E, Rasmussen K; NORVIT Trial (2006) Homocysteine lowering and cardiovascular events after acute myocardial infarction. N Engl J Med. 354:1578-88. Ebbing M, Bleie O, Ueland PM, Nordrehaug JE, Nilsen DW, Vollset SE, Refsum H, Pedersen EK, Nygard O. (2008) Mortality and cardiovascular events in patients treated with homocysteine-lowering B vitamins after coronary angiography: a randomized controlled trial. JAMA. 300:795-804. McCully KS. (2009) Chemical pathology of homocysteine. IV. Excitotoxicity, oxidative stress, endothelial dysfunction, and inflammation. Ann Clin Lab Sci. 39:219-232. Terwecoren A, Steen E, Benoit D, Boon P, Hemelsoet D. (2009) Ischemic stroke and hyperhomocysteinemia: truth or myth? Acta Neurol Belg. 109:181-188. Drake BF, Colditz GA (2009) Assessing cancer prevention studies: a matter of time. JAMA 302:2152-2153. Kim YI. (2008) Folic acid supplementation and cancer risk: point. Cancer Epidemiol Biomarkers Prev. 17:2220-2225. Jamison RL, Hartigan P, Kaufman JS, Goldfarb DS, Warren SR, Guarino PD, Gaziano JM; Veterans Affairs Site Investigators. (2007) Effect of homocysteine lowering on mortality and vascular disease in advanced chronic kidney disease and end-stage renal disease: a randomized controlled trial. JAMA. 298:1163-1170.